Hello dear crafty buddies, I hope you are having a good day! Today I am here with another crafty experiment. Remember in my previous post I share my experiment with duct tape? Actually these craft experiments are always happening in my craftroom but I am sometimes lazy to capture these with my camera eye while working on. Sometimes I do. 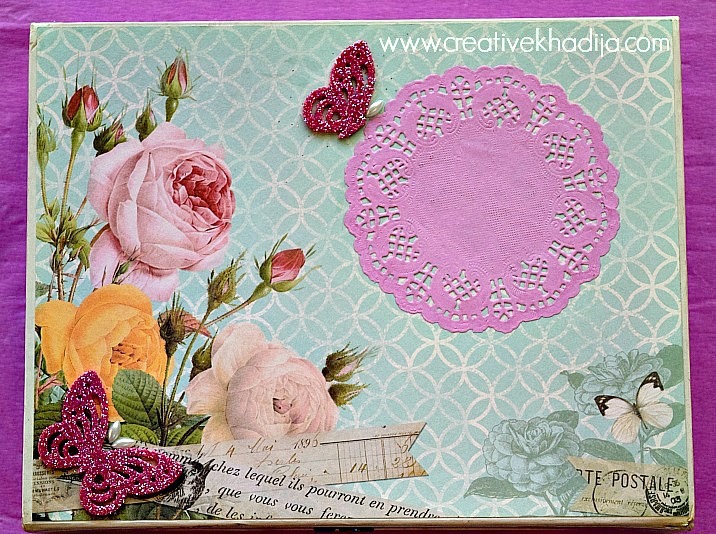 So today I am going to share an Interesting Experiment with Crepe Paper & Mod Podge Sparkle. Would you like to see whats happening? As every crafty girl, I am also used to collect craft supplies, No matter what & when or how I will be crafing with these supplies. Haha. 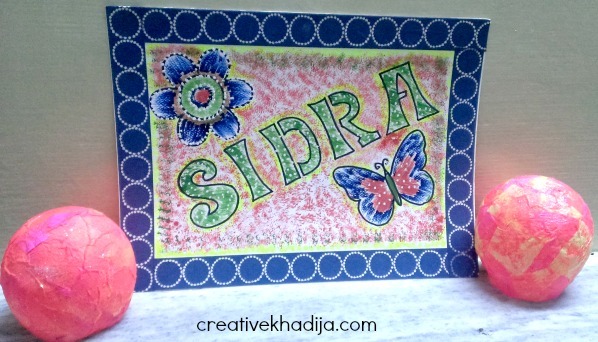 A few days back I got some colorful crepe paper sheets from a books & stationary shop. I saw Amy uploaded a video on her YouTube channel after a long time but that video inspired me to do something with mod podge. So here it is finally. You will see the video at the end of the blog post as well. 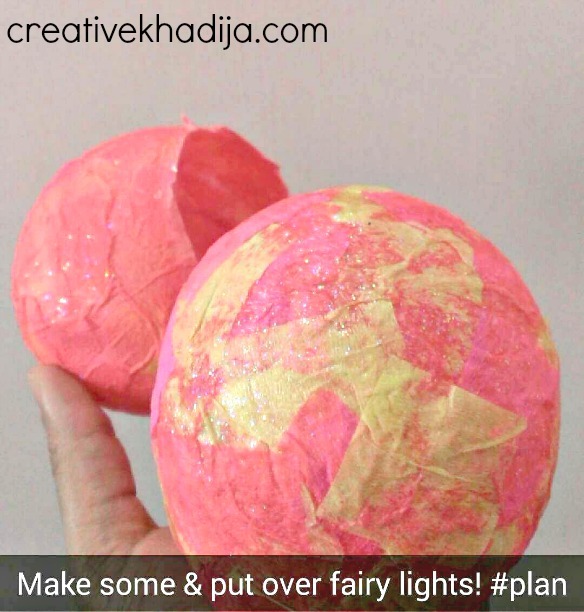 I made these balls with crepe paper, And this is super easy! When I made these, I were not sure where to put it. 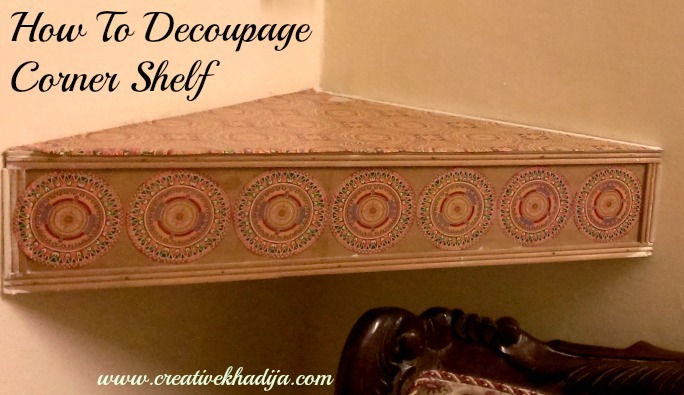 So I place it around the sides of my painting on the shelf. I think it looks better here for a moment. I have gifted this wall art to my friend after framing. There is her name written on the truck art inspired piece. In my previous duct tape flower pencil, I grab my Niece “F” pencil. Remember? And for this experiment, I asked my Niece “J” if she can give me one of her balloon, So I can make something with colorful. She happily agreed :) I am a very good phuppo so they can not refuse sharing their toys & things with me. haha.. I am a very naughty auntie as well & the little monster kidos are brave who smartly bearing me. 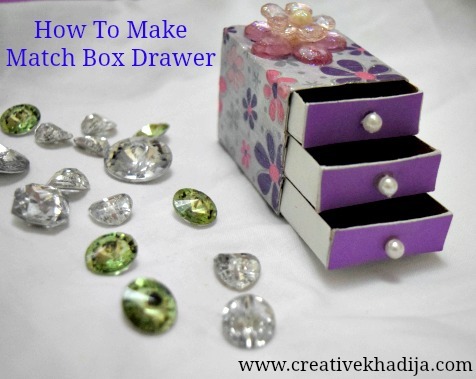 Anyways, Let’s see how you will make it & what you will need to have for this fun craft activity. You will need to have a balloon of any size, I used a very small size. Crepe paper. I cut some small pieces. Mod Podge Glue. I used sparkle formula. Spatula, foam brush or paint brush. Even with fingers it’s okay. 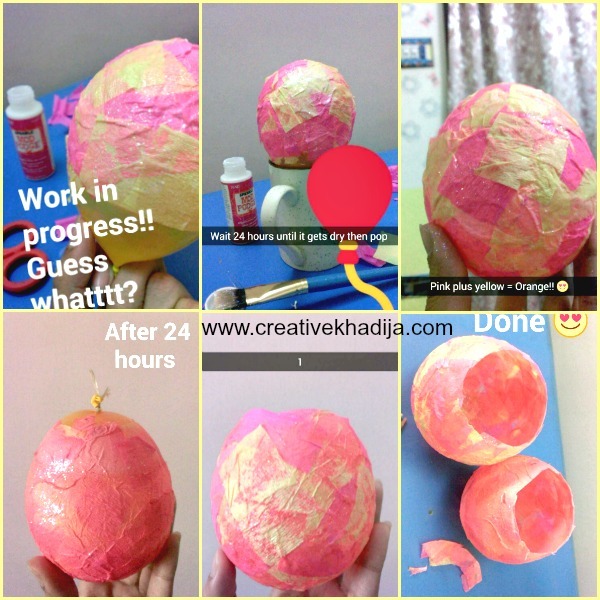 As I already have said, I am addicted to snapchat sometimes, I share my crafts tutorials and making of art project sneak peek usually. I shared this tutorial on my snapchat & I am glad my friends & followers appreciated. So here today I will show you some of the steps from my snap story. I hope you will easily understand the process. 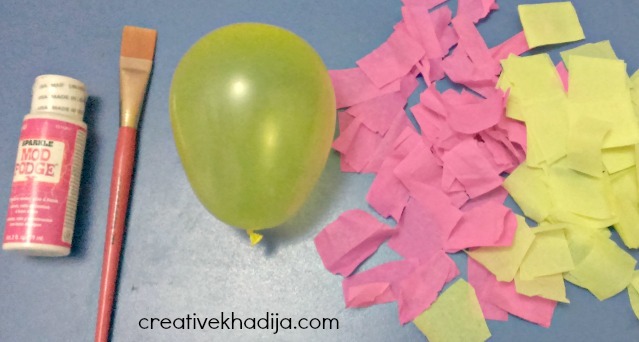 1- Glue the balloon & paste the strips of crepe paper on it. 2- It would be better if you make the glue a bit thin by adding little amount of water in it. 3- You can get a mug or bowl for placing the balloon over it while its dripping glue. 4- Paste all the strips carefully. And let it dry for 24 hours. 5- After 24 hours you will see the paper is hard & its time to pop the balloon. Pin it & pop it. 6- Separate the balloon & the crepe paper bowl is ready! 7- Use scissors for making the edges fine. So my plan now is to make some more balls like this & cover the fairy lights. They look cute seriously! When I showed this to my niece (who gave me her balloon for this experiment) She was very happy to see this, She said return my balloon, this is my balloon :) she don’t know her balloon is no more!! haha. This is a bit soft & kids can easily smash these in a minute, I gave it to her anyways! It was just an experiment craft. I have done something similar to this with jute rope. 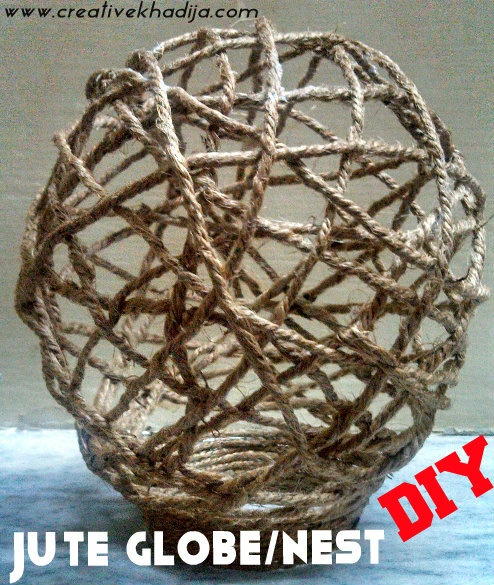 Do you remember that spring nest with jute rope Tutorial? I hope you enjoyed the idea. How cute and colorful are these. Try it & I hope you will be having fun trying this idea! 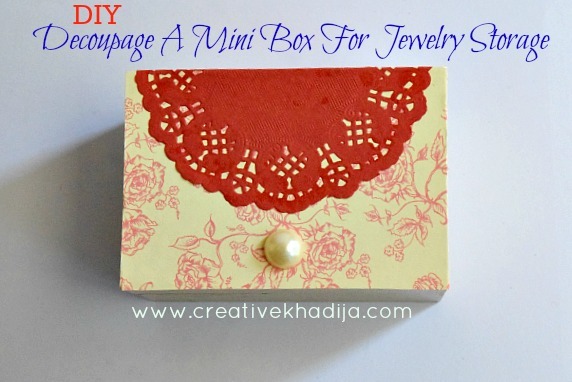 You can also have a look at my other Mod Podge Crafts Tutorials. If anything seems confusing here, feel free to ask in comments. wow never thought of this. 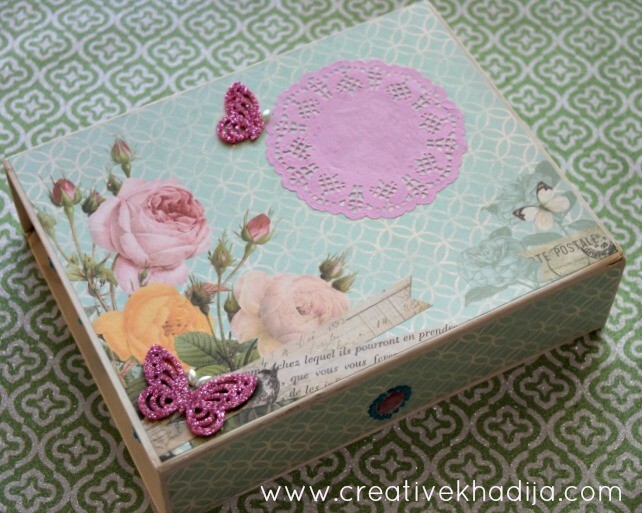 You intrigued me with the title “Interesting experiment” I do enjoy some crafty experimenting myself! Looks like you had fun and I’m pretty sure I wouldn’t have to patience to wait 24 hours either! Cuanta creatividad, es precioso todo.